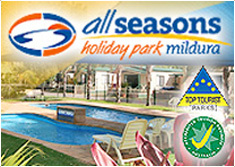 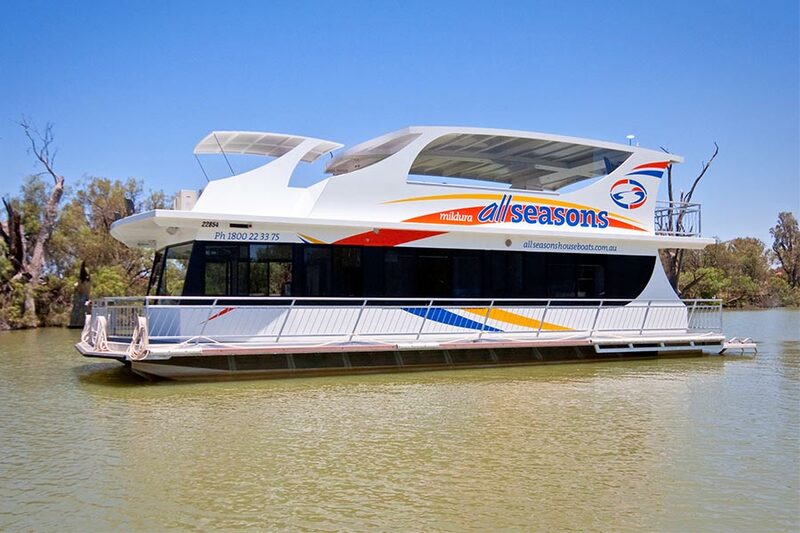 All Seasons Houseboats commitment to providing guests with a unique, relaxing and enjoyable holiday experience is paramount. 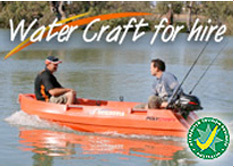 Work boats and work jet skis to get to you fast! 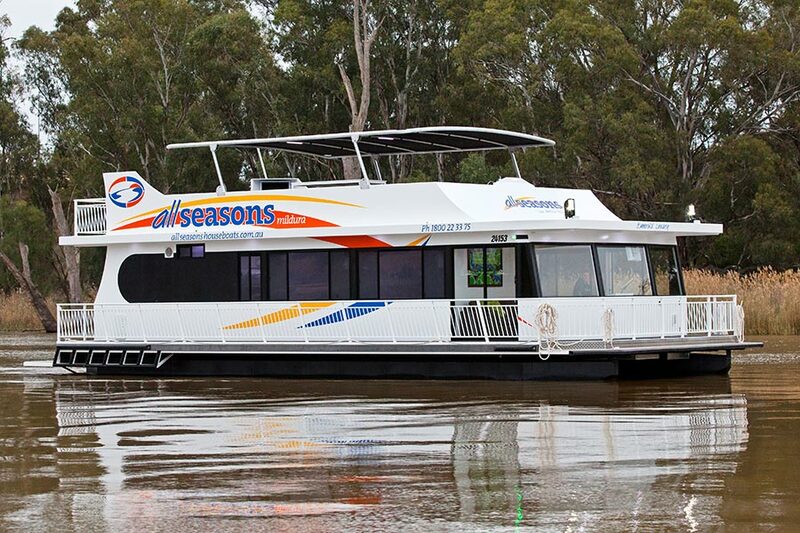 Easy to maneuver along our walkways with trolleys. 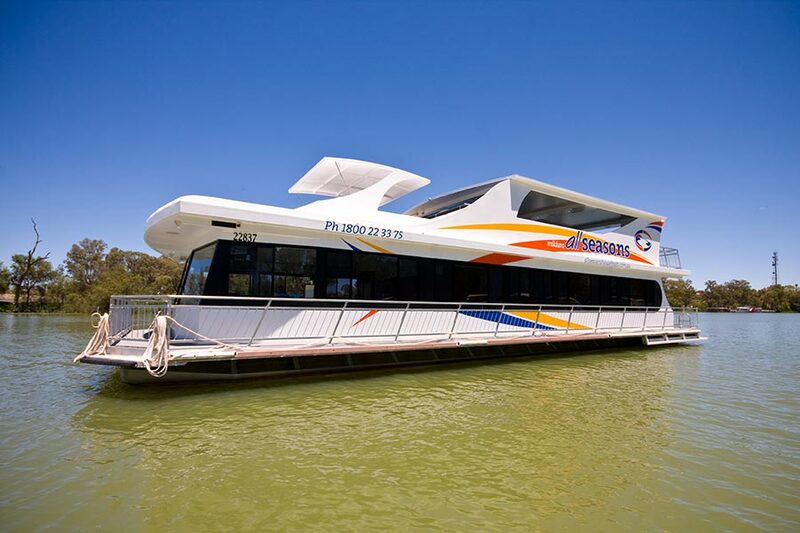 All boats have inverter power / automatic 24/7 power, no starting generators! 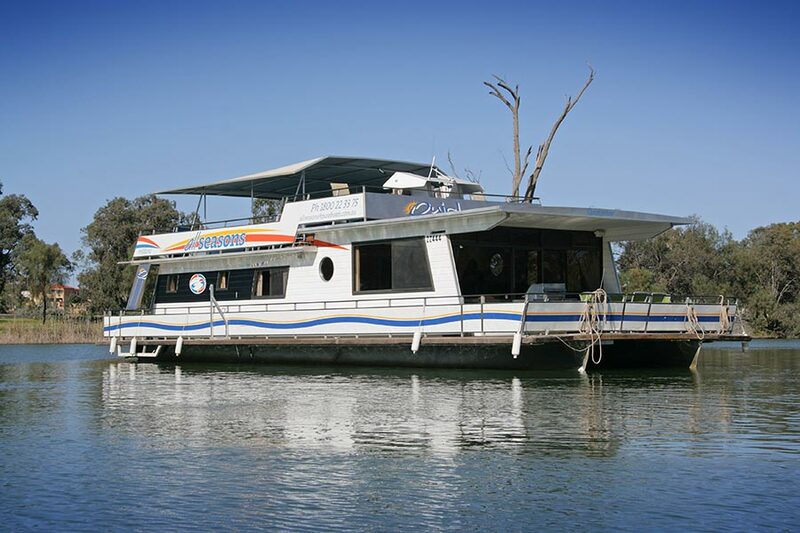 Only houseboats in Mildura offering Satellite TV. 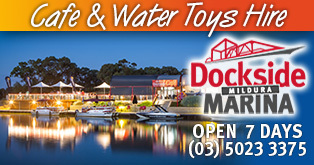 Award-winning business both locally, regionally and state awards. 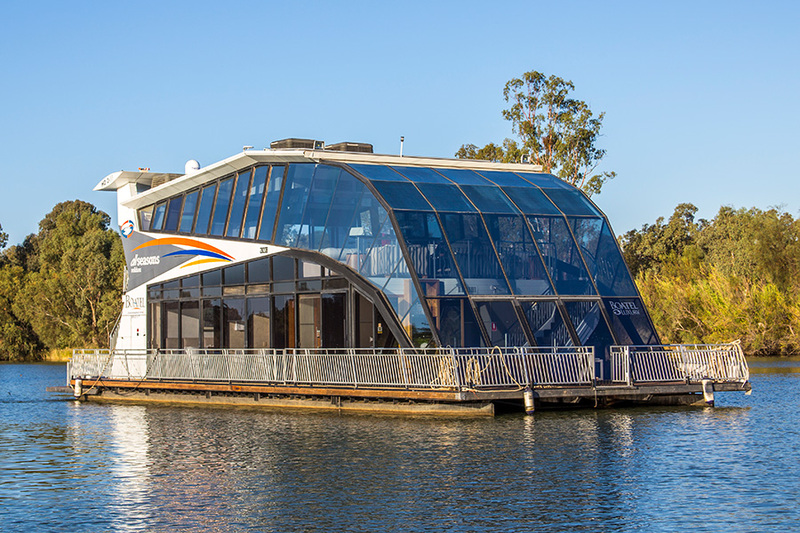 Piloting a houseboat in and out of the marina might be considered a bit stressful. 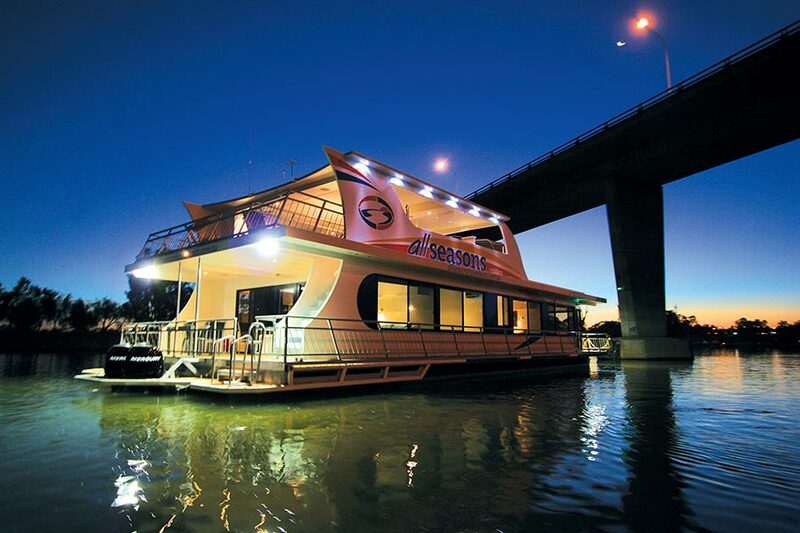 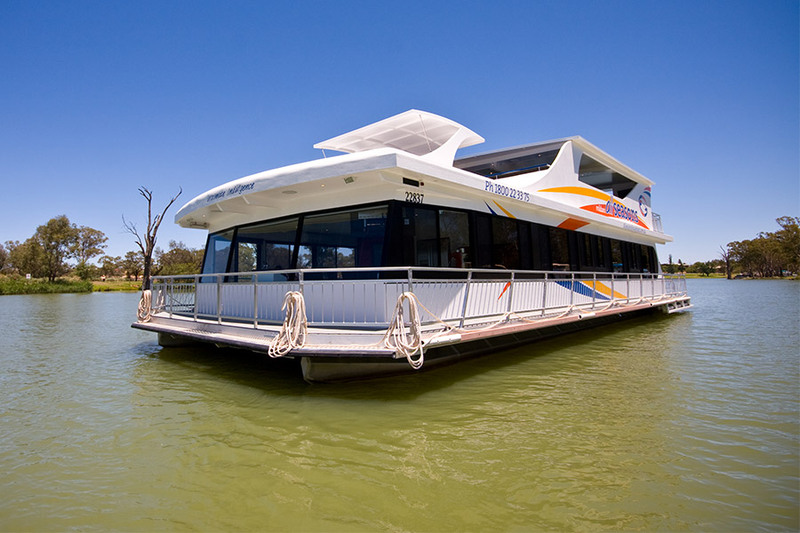 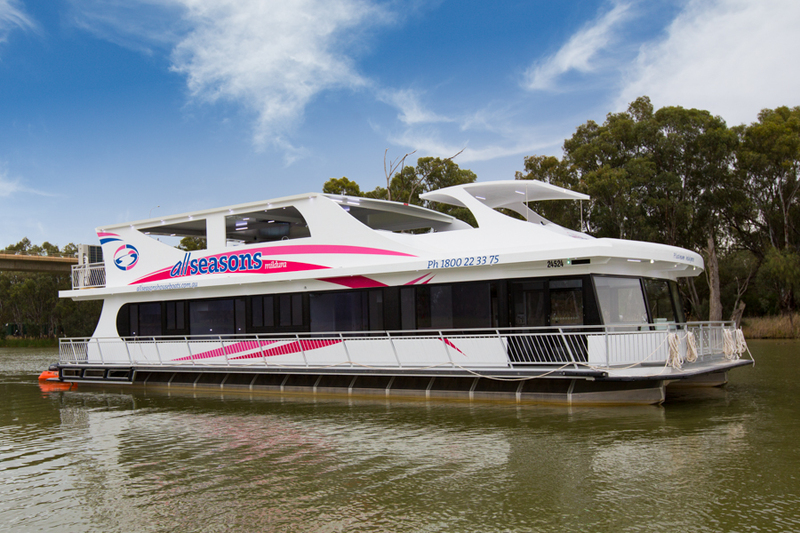 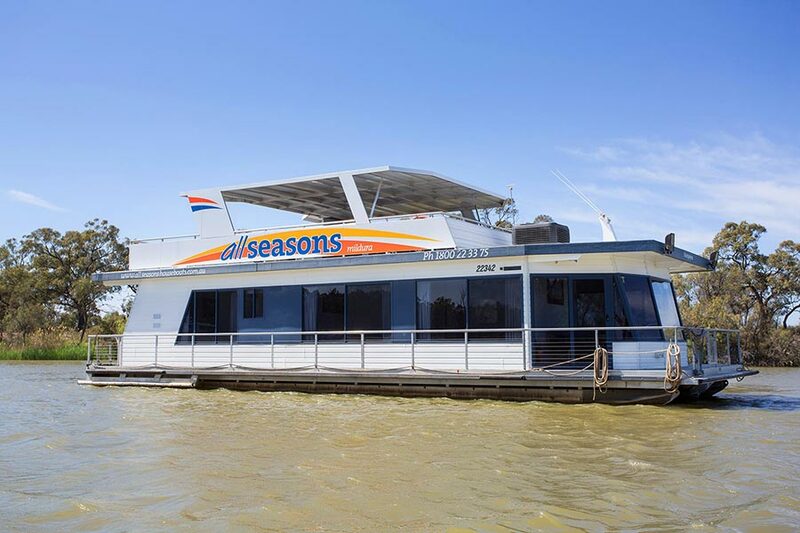 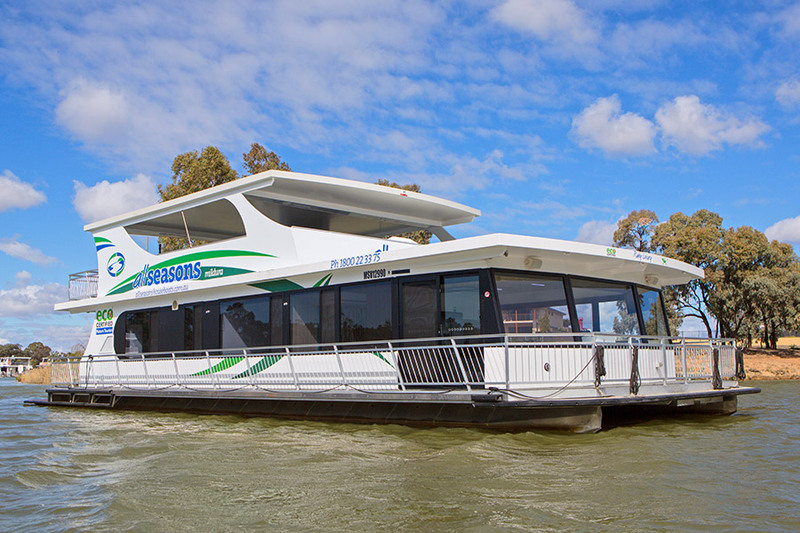 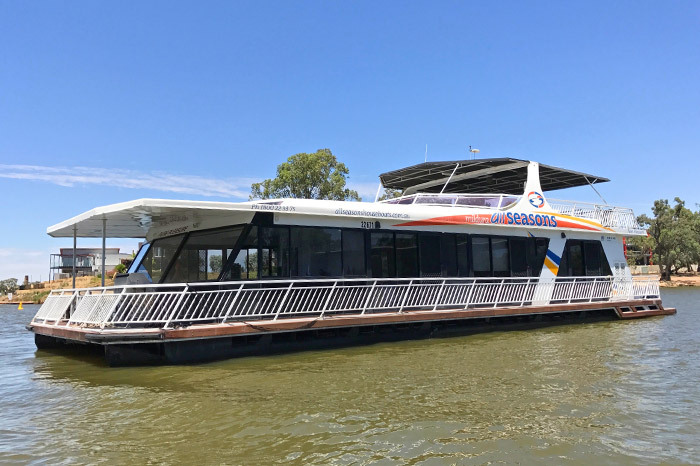 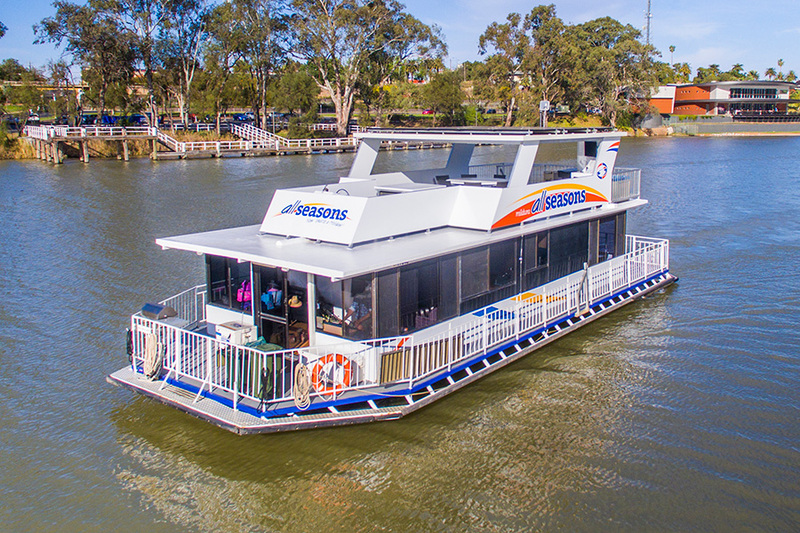 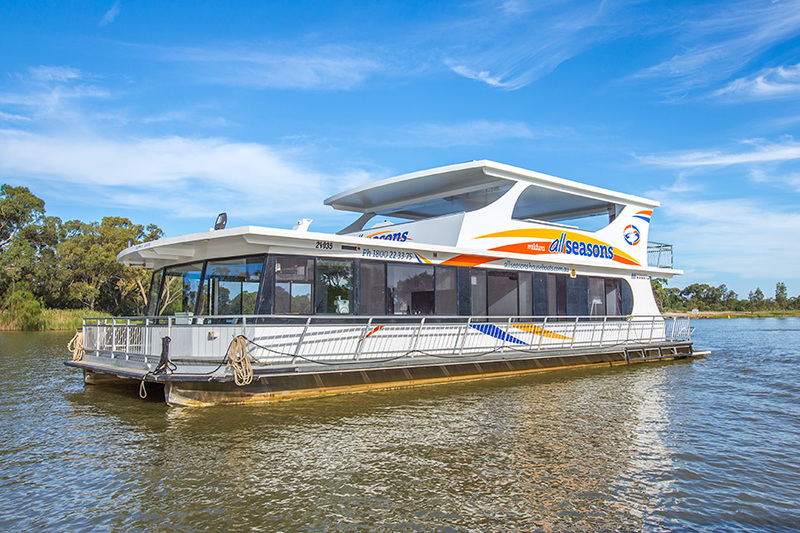 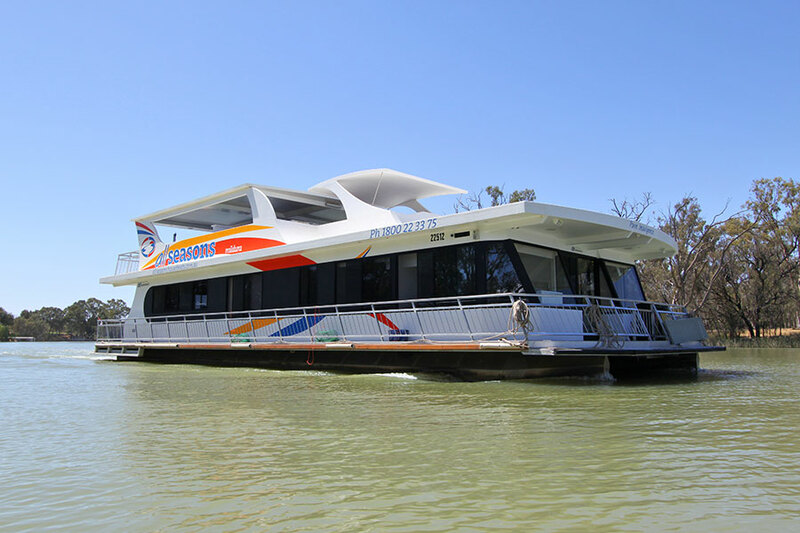 That’s why All Seasons Houseboats provide complimentary pilot service; we’ll maneuver your houseboat through the marina and out onto the Murray River and point you in the right direction! 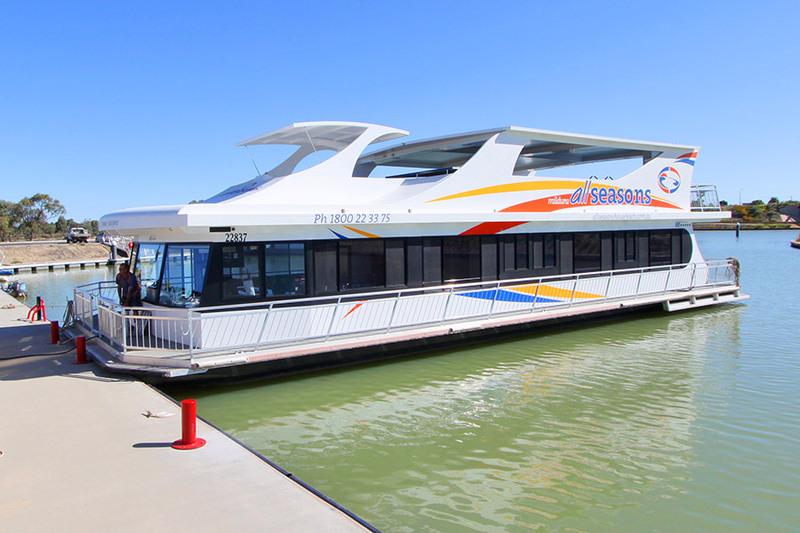 Upon returning to the marina, we’ll meet you and your party out on the river just outside the marina and our expert houseboat drivers will board your houseboat and take the wheel, allowing your captain to relax and enjoy the ride.